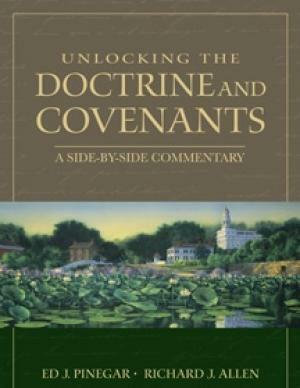 With this comprehensible, accessible, and easy to use commentary covering the entire Doctrine and Covenants, you will dig deeper into the scriptures as you gain new insights from respected gospel scholars. For easy reference and classroom use, page numbers of verses remain the same as in standard LDS Church editions of the Doctrine and Covenants. Remarks and annotations are presented to the side of the complete scriptural text, along with room for your own notes. Whether you’re a beginning or advanced student of the scriptures, using this powerful study tool will deepen your understanding of The Doctrine and Covenants.